Weather a person is suffering from fibromyalgia or not, eating a well-balanced diet is crucial for everyone. A well-balanced diet should include fresh fruits and vegetables, low-fat fairy, whole grains and lean proteins like fish or chicken. Although there is no such thing as a fibromyalgia diet, there have been series of reports of people claiming that they feel better when they eat or avoid certain kinds of foods. It is very important to eat foods that support your body especially when you have a condition like fibromyalgia. Likewise, it is also important to avoid unhealthy foods such as processed, fried and high in saturated fats or any foods that may trigger your fibromyalgia symptoms. While a well-balanced diet is important, a few studies have shown that eating just a vegetarian diet or a vegan diet, which is high in plant antioxidants, provides some relief for people suffering from fibromyalgia. According to study in BMC Complementary and Alternative Medicine, people who suffer from fibromyalgia had less pain when eating raw vegetarian diet. It is important to note that this type of diet is very restrictive and is not for everyone. The study involved thirty patients who were on a diet with mostly raw, pure vegetarian diet. The diet included raw fruits, salads, carrot juice, tubers, grain products, nuts, seeds, and a dehydrated barley grass juice product. The patients were on the diet for months. At the end of the study, it was found that the patients reported significant improvements on all measured outcomes. The study concluded that many fibromyalgia subjects can be helped by a mostly raw vegetarian diet. Apart from your daily food diet, it is also important for a fibromyalgia patient to get nutrition from different types of supplements. It is important for your muscles, nervous system, adrenal glands, immune system to get the proper nutrition for their daily processes. There are different types of nutrients that are helpful for fibromyalgia patients. These include B-complex vitamins for energy, immunity, nerve, and brain function, Magnesium for muscle energy, Selenium for the best immune function, Vitamin C for oxidative stress, Fatty acids, such as omega-3 which will help in promoting cell membranes and mood, Zinc for cell health, and Iodine for thyroid health. Supplements such as Vitamin D can help in reducing pain in fibromyalgia patients since most of them have low levels of Vitamin D.
Fibromyalgia patients who take this vitamin tend to feel much better physically and experience less fatigue. 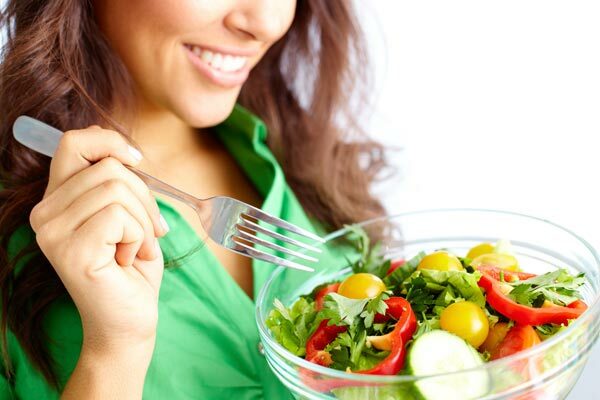 Keeping your weight under control is also a benefit of eating a healthy diet. A study in the journal Clinical Rheumatology found that overweight people suffering from fibromyalgia had improved quality of life after they lost weight. According to the study, the fibromyalgia patients experienced less pain and depression, fewer tender points, and all the patients experienced better sleep quality after losing a few pounds. Therefore, the study concluded that weight loss can be an important part of fibromyalgia treatment. A person suffering from fibromyalgia experiences fatigue and tiredness. The condition can make you feel very tied or worn out. Eating certain foods that can boost your level of energy can keep this at bay. Fruits: eating fruits can give you an energy boost throughout the day. Fruits such as apples, and bananas can give you the required energy boost. These fruits also contain fiber which is a necessary for your body. Vegetables: Eating vegetables can keep your blood glucose levels and energy levels stable since vegetables take longer to digest due to their filling fiber. Proteins: Proteins give you energy by fueling your muscles. It is recommended that you eat lean protein such as fish and chicken. There are certain foods that a person suffering from fibromyalgia should avoid since certain foods contain chemicals that may trigger the release of neurotransmitters that can increase pain sensitivities. Sugar: It is recommended that you limit your sugar intake since increased sugar levels can worsen pain. Sugar will only give you a quick sugar boost. However, your body will burn right through them, and then you’ll crash. Wheat and gluten grains: If you are overweight, have high blood pressure, high cholesterol or diabetes, it is recommended to limit these foods since they are metabolized as same as sugars. Caffeine: a person suffering from fibromyalgia should avoid caffeine as much as possible. Caffeine can keep a person awake and this is not good for fibromyalgia patients. Fibromyalgia patients have sleeping problems or do not get a good sleep. Drinking caffeine can make it worse since it is likely to keep you awake. Artificial sweetener: Try to avoid artificial sweetener such as aspartame. The artificial sweetener found in some diet sodas and many sugar-free sweets is part of a chemical group called excitotoxins, which activate neurons that can increase your sensitivity to pain. Food additives: For a person suffering from fibromyalgia, it is important to avoid food additives such as Monosodium glutamate (MSG). MSG is an excitatory neurotransmitter that may stimulate pain receptors; glutamate levels in spinal fluid have been shown to correlate with pain levels in fibromyalgia patients. Junk foods: Keeping away from junk foods is also another plus point for fibromyalgia patients. Junk foods have all the unwanted chemicals that the body should avoid. Junk foods contribute to weight gain, increase in sugar or it may disrupt your sleep and compromise with your immune system. Keeping diet diary can help you improve your lifestyle. It can help you remember what foods to avoid and what foods to eat. For example, noting down every time you eat or drink certain foods or beverages and the symptoms that you experience after you had them would certainly list out foods that are good for you and vice-versa. These are tips everyone should follow. So many of our health problems are linked to our foods or increased by our foods. True, some of our favorite snacks are not on this list, however staying healthy is more important. It’s helpful to know that fibromyalgia can be alleviated by a change in diet. Yes these things are important but truthfully if you’re already overweight as I am, have pre-diabetes, through yroid issues, asthma, Rheumatoid Arthritis, Fibromyalgia, OsteoArthritis in the knees, Ankles, shoulders, migraines, tension headaches, patella femoral tracking disorder in both knees, patella femoral tracking pain disorder as well. I only find the supplements section the most useful. I have herniated discs in all 3 sections of my spine as well as a few compression fractures as well. For me everything started after a fall at a job in 2002. The RA diagnosis came 4 years after that and the fibromyalgia came 1 year after that. I try very hard to watch my weight. UT truthfully as the issues with my weight got worse as did the pain, it’s harder and harder to get enough excerise.. I need knee replacement but I can’t find a single ortho surgeons that wants to treat me, I’ve been told by more than one that they don’t treat fat people because “they don’t care about their bodies.” The last doctor even put that in writing to my PCP who with my permission reported him to the medical board. But what do you do when you’re doing as much as you can and nothing changes. Tell me? I know where your coming from I had to loose 30 lbs just so I could get my lower back fused and my one of my vertebra shattered during surgery and then afterwards in the hospital I had a minor stroke then I went to a facility to help me to recover from surgery and years have added upon my life with pain if I know what I knew then I probably would have rethinked my decision for back surgery but know I’m pre-diabetic I am a large woman so I would never stand a chance but I take diet pills to try to help but I’m not loosing much. But I do understand so where do you live because my sister has this Dr that she sees that he’s thinking about doing a knee procedure on her where they inject this gel into your knee joints and it’s suppose to help to save your knees from kneeding knee replacement just thought I’d tell you about it.